NEW: A group creates a pbs.org page titled "FREE BRADLEY MANNING. (expletive) FRONTLINE!" The group admits to hacking into PBS servers after watching "WikiSecrets"
(CNN) -- Online hackers have pirated the PBS website and posted a false story claiming the rapper Tupac Shakur -- who has been dead for almost 15 years -- is alive and living in New Zealand. The group -- called The Lulz Boat -- also posted what it said were passwords of journalists, login information for the PBS series "Frontline" and sensitive information about PBS stations. The Lulz Boat claims it was "less than impressed" after watching the network's program "WikiSecrets" and "decided to sail our Lulz Boat over the PBS servers for further... perusing." The "WikiSecrets" documentary, which aired last week on the PBS show "Frontline," talked to U.S. Army Pfc. Bradley Manning's father and close friends. Manning, a military intelligence analyst, is suspected of leaking hundreds of thousands of classified documents that ended up on the WikiLeaks website -- one of the largest leaks of classified material in U.S. history. In a message linked to from their Twitter account, The Lulz Boat taunted PBS. 2010: Who is intelligence leak suspect? "Anyway, say hello to the insides of the PBS servers, folks. They best watch where they're sailing next time," the group said. PBS acknowledged the hack early Monday morning. Teresa Gorman, who works in social media and online engagement for the PBS program "NewsHour," published a stream of Twitter messages Monday morning in response to comments about the fake story. "Thanks for your concern guys - we are aware there is more than the Tupac story being hacked right now," she tweeted. She said she did not want to comment further to CNN. 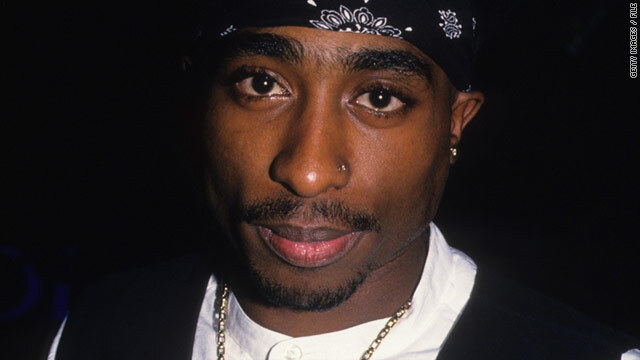 The fake Tupac story claims the rapper was "alive and well in a small resort in New Zealand," citing "locals." It goes on to say a small town there -- unnamed due to security risks -- also housed the late rapper Biggie Smalls for years. In addition to posting the Tupac story, The Lulz Boat also created a page -- within the pbs.org address -- that says "ALL YOUR BASE ARE BELONG TO LULZSEC." The title of the page is "FREE BRADLEY MANNING. (expletive) FRONTLINE!" The group's bio states, "We are LulzSec, a small team of 80-year-old men and people who smoke on webcam. Right?" The Lulz Boat also claimed it was not Anonymous, a hacker collective globally infamous for disrupting the websites of MasterCard, Visa and PayPal in December after the arrest of WikiLeaks founder Julian Assange on unrelated sexual assault charges. A slogan under a "LulzSec" banner online reads, "Laughing at your security since 2011!"